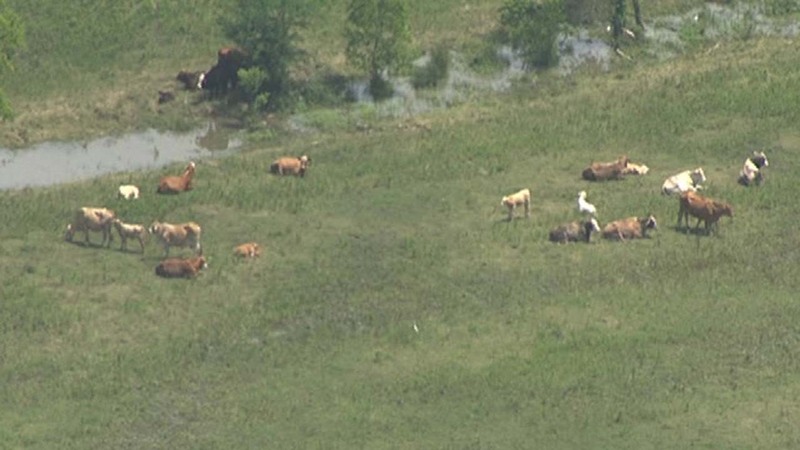 LIBERTY, TX (KTRK) -- Cattle ranchers are racing against rising waters to find a way to rescue about 500 cattle scrambling for high ground in Liberty County. The cattle are currently on high ground and not in the water, but that could change with more rain. The ranchers are now looking for a way to get the animals out of areas that may flood as rain looms in the forecast. We've learned the homeowner's house is surrounded by water on the north side of Highway 90. Liberty County Sheriff Bobby Rader and others were in an air boat surveying the flood waters today. It's unclear at this time whether the cattle will be moved, and if so, how that will happen.